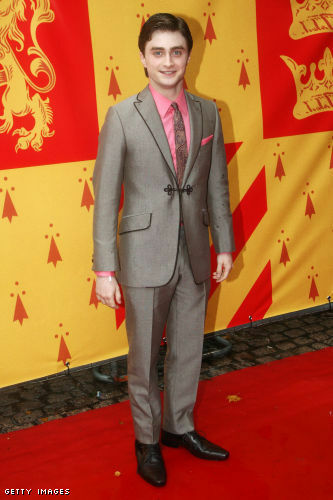 Here's the lovely Miss Watson at the world premiere of Harry Potter And The Half Blood Prince. As ususal, she looks amazing and classy. Ok D. Rad, I'll give you the shoes and the slim pants. But the toggle, the pink, the piping...no. Bonnie Wright, aka Ginny Weasley, looks totally age appropriate. Can't say the same for the face-painted individuals behind her! 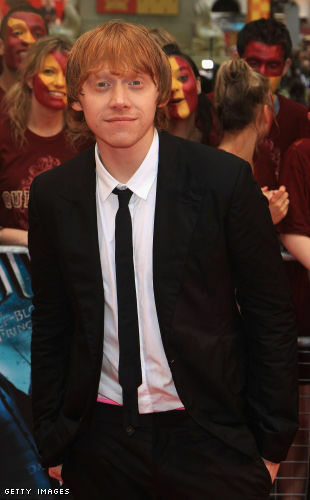 Ron Rupert Grint needs a haircut. Pixie Geldof, JK Rowling, and Tom Felton. Yikes, meh, and awkwardly shiny (respectively). Why did Cedric Diggory have to die? I bet those HP people are killing themselves over cutting out Robert Pattinson pre-Twilight fame.